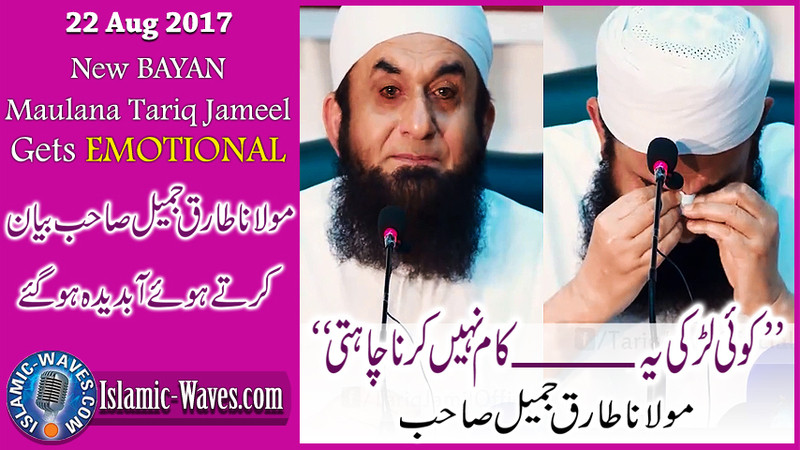 Hazrat Maulana Tariq Jameel Saheb Emotional short clip on "Koi Larki Ye Kaam Nhi Kerna Chahti". Moulana Tariq Jameel is really an amazing person plus his speeches are really inspiring and the way he delivered them is just beyond to our praise. Great man.